Leonard McCoy. Creative Icontest, Theme: Vignette. 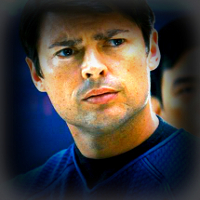 Images in the Star Trek (2009) club tagged: photo star trek leonard mccoy bones. This Star Trek (2009) icon might contain fedora, felt hat, homburg, stetson, trilby, portrait, headshot, and closeup.